Hate your family? Have no family? 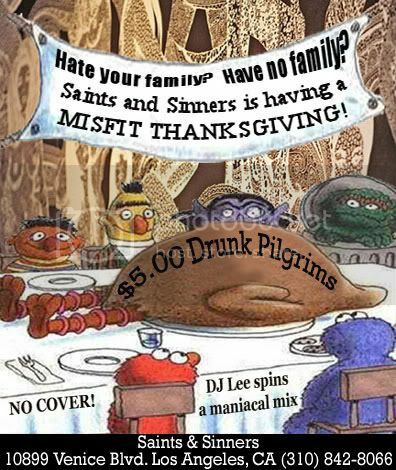 Join DJ Lee and bartender Sir Ian Dangerous for a Misfit Thanksgiving celebration at Saints & Sinners: 10 pm – 2 am.